Border Valley Trading strives to provide the most innovative and up-to-date packaging available to meet the various needs and demands of the market place. Our primary goal is to provide the customer with the most feasible, practical and economical package for their operation. 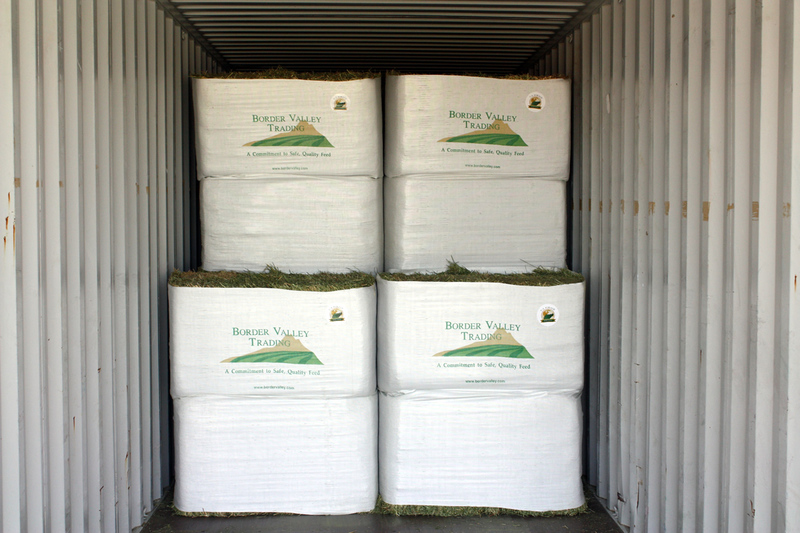 Border Valley Trading offers various bale sizes and packaging options for ease of handling, from a 25 kg half cut bale to a 400 kg double compressed sleeve big bale. Let our world class representatives assist you! 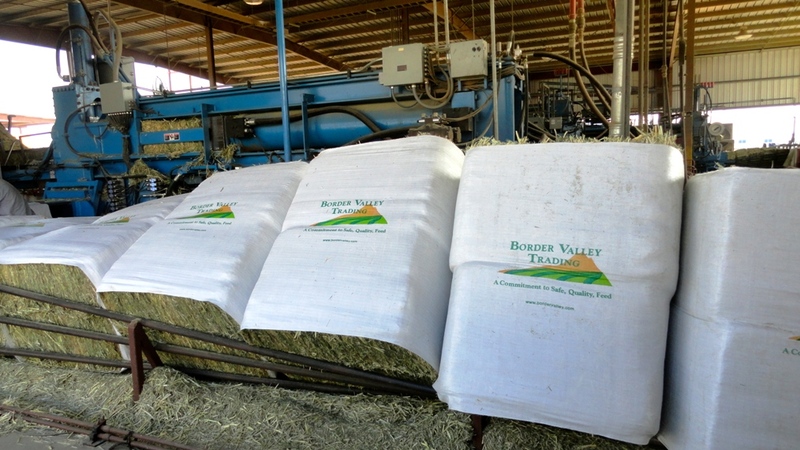 Border Valley Trading’s 400 kg sleeve big bale is produced through a unique process utilizing 3 tie bales which are double compressed and extruded directly into a sleeve package. 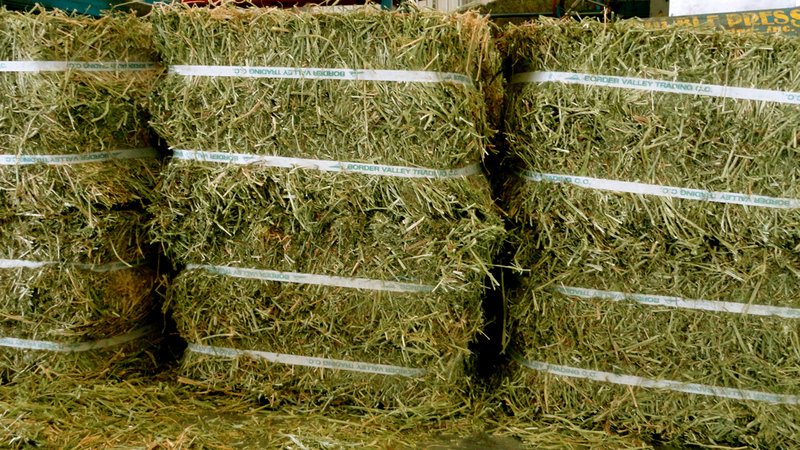 This method eliminates the mixing of other hay or chaff, as well as grinding or chopping. The product integrity and consistent quality of our 400 kg sleeve big bale can be attributed directly to this process. 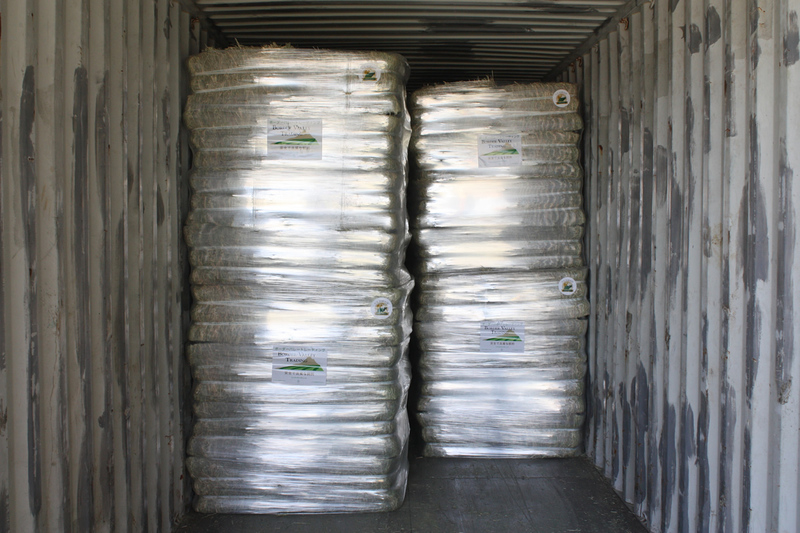 The two options available with the 400 kg sleeve big bale package are 8 Cut or 16 Cut. The 8 Cut style is equivalent to eight double compressed full bales while the 16 Cut is equivalent to sixteen double compressed half cut bales. 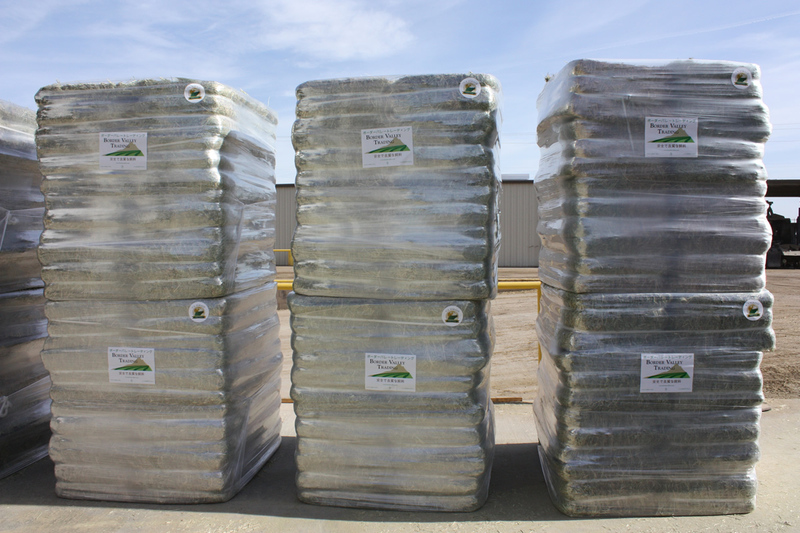 In addition to conventional unloading practices, the Border Valley 400 kg sleeve big bale can also be unloaded through a “dockless” method utilizing a small fork lift or hay squeeze.